Even if you’re not very close to your mom and dad, they still have a great impact on your personality and character in general. We at Bright Side were curious about the influence parents of famous people had on their children. We gathered 9 curious family stories to share with you the accomplishments of the people who raised our favorite celebrities. Uma Thurman was born in 1970 into a very curious family. Her father, Robert Thurman, was the first American man to become a Buddhist monk. Her mother, Nena Thurman, was formerly known as Nena von Schlebrügge. She was a famous model, hippie, and the ex-wife of Timothy Leary, the researcher of psychedelic drugs. Uma was named after the Hindu goddess of bliss. Today Uma’s mother is living the respectable life of a famous psychotherapist. Her father stands behind his Buddhist beliefs and has his own lecture course on Indo-Tibetan Buddhism at Columbia University. The Academy Award winner was named after Leonardo da Vinci. The father of the future actor considered it a sign that the baby kicked in his mother’s belly near a painting of the famous artist in the Uffizi Gallery in Florence. Irmelin DiCaprio was a social worker, and George was an artist of popular comics that often had obscene content. According to Leonardo, despite the fact that his father left the family when Leo was just a baby, it didn’t harm their relationship. Leonardo is close to both of his parents. George even took part in the developing of his son’s acting career. “My father still loves to draw his comics in his garage. He’s living like it’s the ’60s. He even reads my scripts and sends me those worth looking at,” says Leo. DiCaprio also has a good relationship with his stepmother, Peggy. His father married for the second time when Leo was just 4, and Peggy took an active part in his upbringing. Today she is a Sikh and attends all the official gatherings wearing a turban. Jennifer was born in 1969, and both her parents were actors. Her mother, Nancy Dow, was also an actress and model. Jennifer mentioned a few times that she has a complicated relationship with her mother and that she is closer to her dad. It is interesting to know that John Aniston’s career could have been different: he served in the US Navy, but he always wanted to become an actor. He became popular after his role of Victor Kiriakis in the soap opera Days of Our Lives. An interesting fact is that the producers of Friends made a parody of Days of Our Lives within the show. The character of Joey got a job playing Dr. Drake Ramoray in Days of Our Lives....in Friends. Days of Our Lives has received more than 160 different awards and has been broadcast from 1965 to this day. The star of Brokeback Mountain and Prisoners was born in 1980 into a quite famous family. His father, Stephen Gyllenhaal, is a producer and director of several popular TV series including Twin Peaks and The Mentalist. His mother, Naomi Foner, is a Hollywood screenwriter. This family has an interesting ancestry and an unusual approach to raising children. On his father’s side, Jake is a descendant of an old noble Swedish family (Gyllenhaal), and his mother is a Jewish woman of Russian descent. The comparatively well-off family had a strict democratic parenting style. For example, his Bar Mitzvah (a Jewish coming-of-age ritual) took place in a homeless shelter to instill a sense of gratitude in Jake for a more prosperous life. One of the most iconic and influential hip-hop artists was born in 1971. Both his parents were active members of a revolutionary socialist organization called the Black Panther Party, which was known for its radical views. His mother, Afeni Shakur, and father, Billy Garland, took an active part in the fight for the rights of African-Americans in the US. Afeni Shakur was acquitted of more than 150 charges including a serious one: conspiracy against the US. Before Tupac was born, she was cleared of all charges. After the death of her son, Afeni received all the rights to Tupac’s songs and had been doing charity work until her death in 2016. “Doctor House” was born in 1959 in Oxford into the family of a Scottish doctor and a housewife. His mother, Patricia Laurie, wrote several stories that were published in The London Times. His father, William “Ran” Laurie, was a true sports enthusiast and an Olympic gold medalist in rowing. 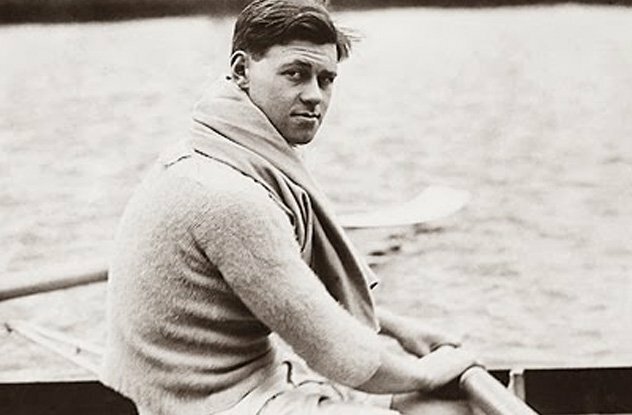 He was a member of one of the oldest rowing clubs in the world in Cambridge. His team won many competitions, but the most remarkable one was a gold medal at the 1948 Olympics in London. His sports career had a great influence on William’s son, and he too did a lot of rowing and was good at it. For example, in 1977, Hugh was the winner of the British Junior Rowing Championships. A unique acrobatic fighting style is what made Jackie Chan one of the most popular heroes of action movies of the 20th century. He was born in 1954 into a humble Chinese family. 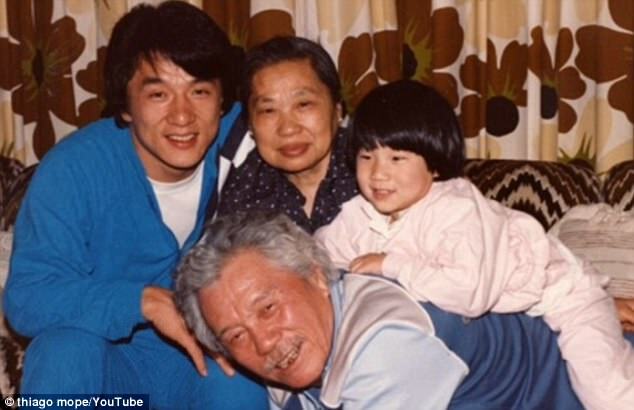 His parents, Charles and Lily Chan, were forced to move to Hong Kong due to the persecutions during the civil war. Jackie’s father couldn’t just stand by, and he tried to fight for the country’s independence. Charles’s political struggles began when he was 20 and joined the National Revolutionary Army. During World War II, he was captured by the Japanese and ended up in jail. However, his political connections helped Charles go free. “The most hard-working actor.” This is what people in Hollywood call Dustin Hoffman. He was born in 1937 into the family of Harry Hoffman, a set decorator at Columbia Pictures, and Lillian Hoffman, a well-known jazz pianist. His mother lived for music and gave her son piano lessons from the age of 5. They both strongly believed that Dustin’s future would be connected to music. However, in his youth, he changed his plans for the future. Thanks to his brother, who worked as an extra in different films, Dustin got carried away with the movie industry. Kate Hudson was born in 1979 to the musician Bill Hudson and the actress Goldie Hawn. However, after her parents’ divorce, Kate was raised by Kurt Russell, Goldie’s second husband. Kurt and Goldie are a very talented couple, better known for their roles in the movie Overboard. They both influenced the development of Kate’s comedic talents. Kate has repeatedly stated that she considers Kurt her real father since her blood father had always been indifferent to her. Kurt Russell and Goldie Hawn are often called the strongest couple in Hollywood: they’ve been married for more than 30 years and arouse envy among younger couples. Do you know more celebrities whose parents aren’t ordinary people? Do you think their career would have been different if they were born into ordinary families? Share your opinion in the comments.